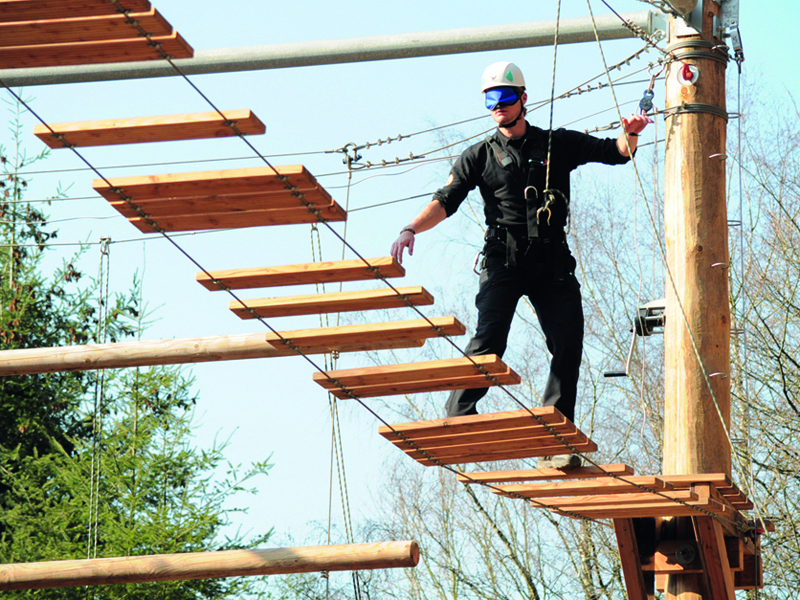 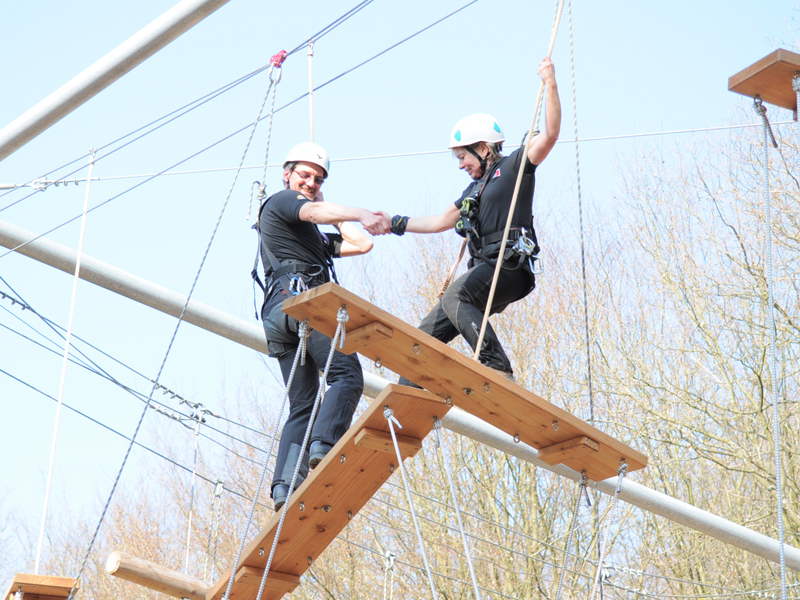 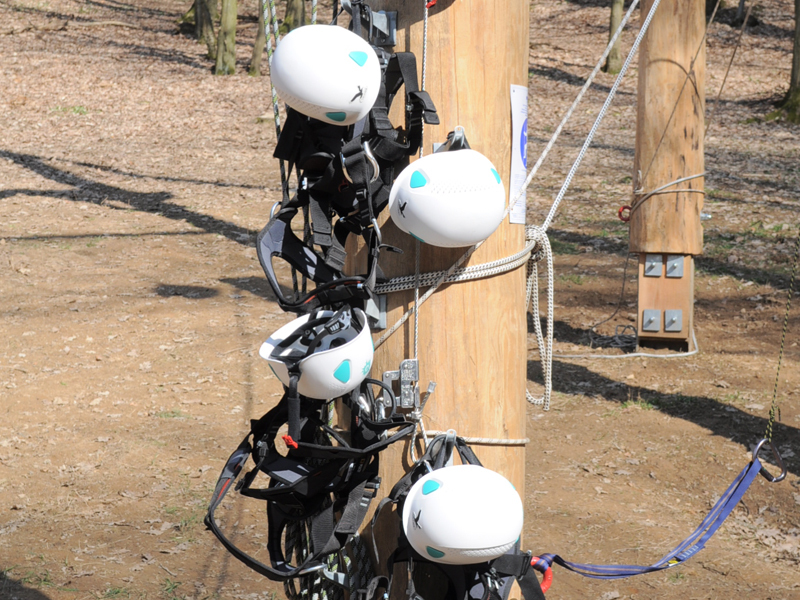 In March, 2012 the high and low rope courses in Berschweiler were built and opened for the ‘Wir im Verein mit dir e.V., an Incorporated Society providing educational activities for children and youth. 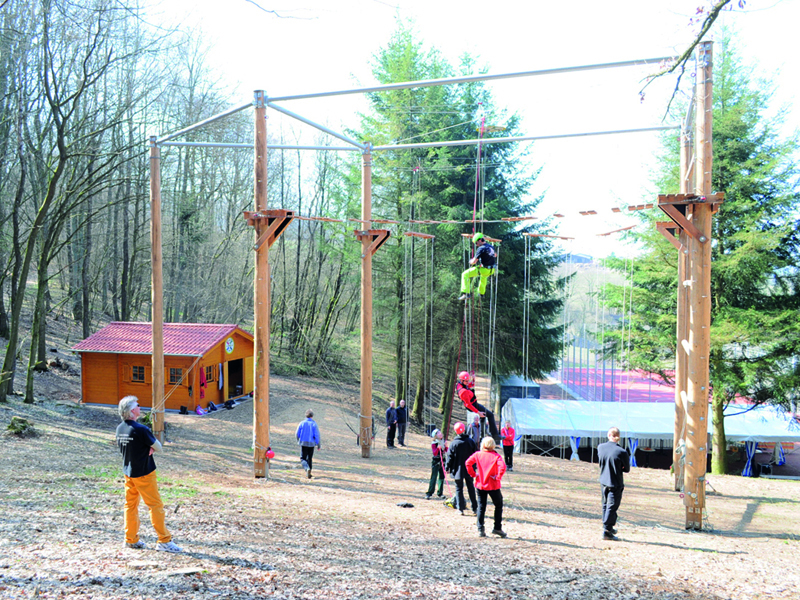 Both constructions complement the experiential-educational centre in the school camp in Biberburg which is visited by 8000 children and youth annually. 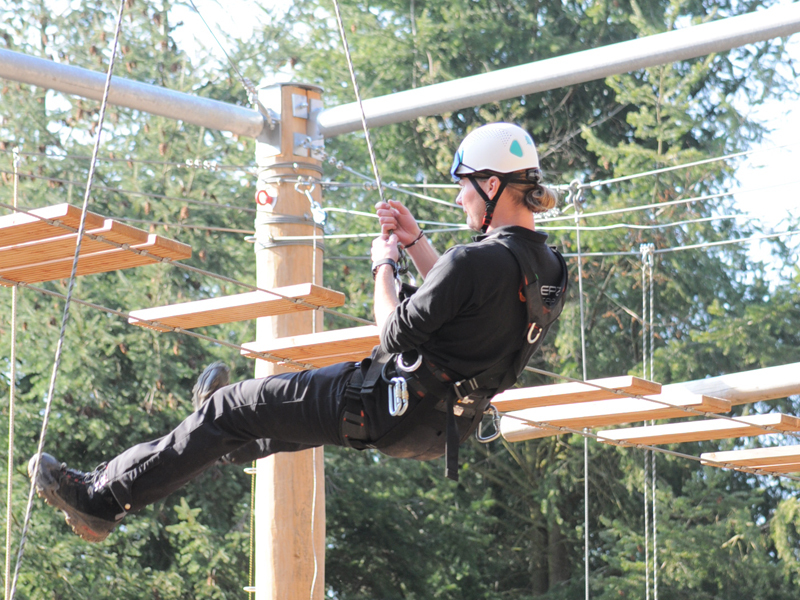 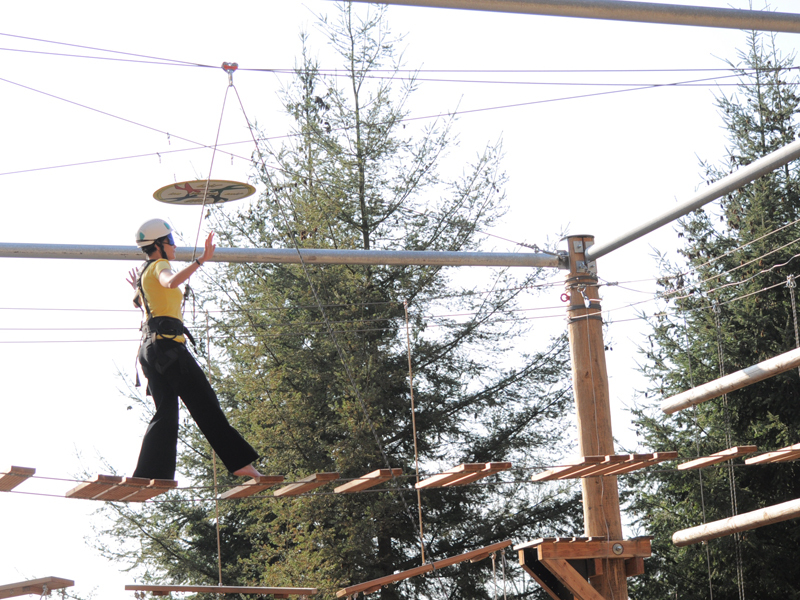 The high rope course contains four education-relevant climbing elements at a height of 11m, designed purely for group activities using the Toprope belay safety-system. 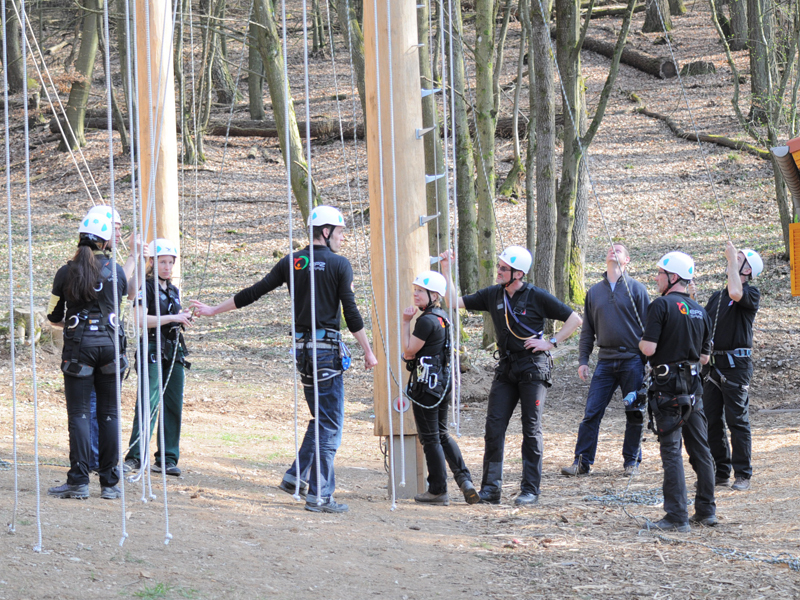 Well run, this concept demands amongst other things, teamwork and team capabilities, stress-management and personal development.